Gaza Arabs fired several rockets at Israel over the weekend, and Arabs in Israel rioted. A Kassam rocket exploded Saturday evening in the Ashekelon Coast Regional Council area. No injuries or damage were reported. It was one of several rockets and mortar shells fired at Israel Saturday night. Earlier, two rockets fired by Gaza Arab terrorists fell in the same area. No physical injuries or damage were reported in those incidents as well. 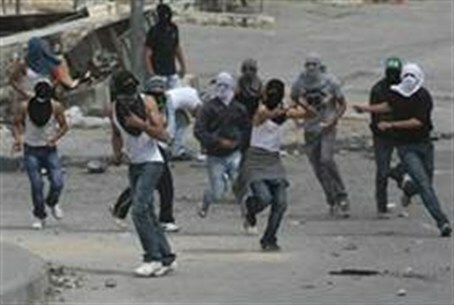 There were also numerous rock throwing incidents and instances of Arab rioting over the weekend. Besides riots near the Kalandia checkpoint Saturday, Arabs threw rocks Saturday night at several Israeli buses, including one traveling near the town of Adam. Arabs also rioted in the villages of Anata and Beit Omar on Saturday. On Friday evening Arabs threw stones at Israeli vehicles in Gush Etzion. No one was injured, but some vehicles were damaged. Arabs also threw a firebomb at IDF soldiers patrolling in the area. No one was injured in that incident either. A report said that on Friday evening Arabs tried to sneak into the Federman ranch next to Kiryat Arba. According to the report, residents of the area detected the break-in and ran after the Arabs in an attempt to capture them. The Arabs, however, managed to escape. An investigation revealed that the infiltrators entered the ranch by climbing over a security fence. The IDF said that it had conducted an investigation into the incident, and had discovered the whereabouts of the culprits.